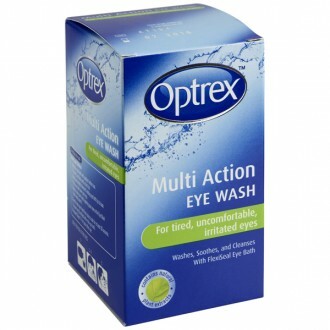 Optrex Multi-Action Eye Wash: Use this product for fast relief from uncomfortable, irritated and tired eyes. It has a special formula that gently washes the eyes while replenishing moisture for people who have been exposed to dust, grit and other environmental elements that cause eye issues. Optrex Multi-Action Eye Wash gives fast relief from tired, uncomfortable and irritated eyes. 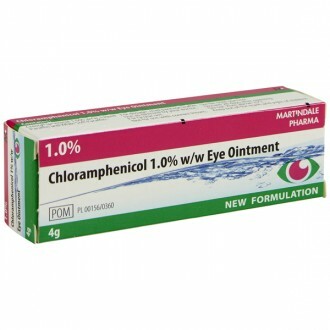 The special formula gently washes your eyes and, for people who have experienced dusty and gritty environments, this medication replenishes the natural moisture. Environmental toxins, such as smoke and other forms of airborne pollution, can affect our eyes, as can too much time spent on the computer, driving for long periods and wearing contact lenses. The same neutral pH level as natural tears, Optrex contains natural plant extracts and washes away grit, pollen and dust particles which lodge in the eyes and also rids them of discomfort, by soothing and treating their sensitivity. The design of Optrex multi-action eyewash also takes into consideration the effects of our modern lifestyle and it is so versatile that you really do need to keep this item at hand in your first aid kit. 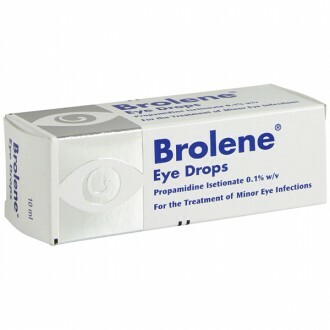 This eyewash comes with an eye bath and also works well on removing trapped make-up from the eyes. For those who wear contact lenses, do not use Optrex Multi Action Eyewash while wearing the contact lenses, or within fifteen minutes of inserting them. Rinse eye bath with eye wash immediately before and after use. Gently pour eye wash into the eye bath until 1/3 full. Bend your head slightly forward, holding the eye bath by its base. Slowly raise your head with your eye open so that the eye wash flows freely over it. Gently rock your head from side to side for at least 30 seconds. Discard any eye wash left in the eye bath. Repeat these steps for your other eye. It is sensible to sterilize the eye bath by boiling it in water, if it is likely to be used by more than one person. Temporary stinging and irritation might occur. If used for a prolonged period of time, secondary hyperaemia might occur again. Purified water, Alcohol, Boric Acid, Glycerin, Sodium Borate, Benzalkonium Chloride. Need to know more about Eye Infections?